On the outside, the 3-door hatch gains large air intakes, sculptured bonnet, prominent rear spoiler and modelled side sills .The front end benefits from a ‘cheeky’ Opel GSi fascia with large honeycomb grille and the central Opel Blitz with two wings, along with the exterior rear view mirror housings in carbon racing-look. The rear gets a prominent spoiler on the edge of the roof claimed to create additional downforce, the sporty chrome tailpipe is framed by the design of the rear apron in body colour. 18-inch light alloy wheels sums up the sporty design. The cockpit gains optional Recaro performance seat, sports steering wheel, a leather gearshift knob and aluminium sport pedals. An optional IntelliLink infotainment system compatible with Apple iOS and Android smartphones adds to the list. 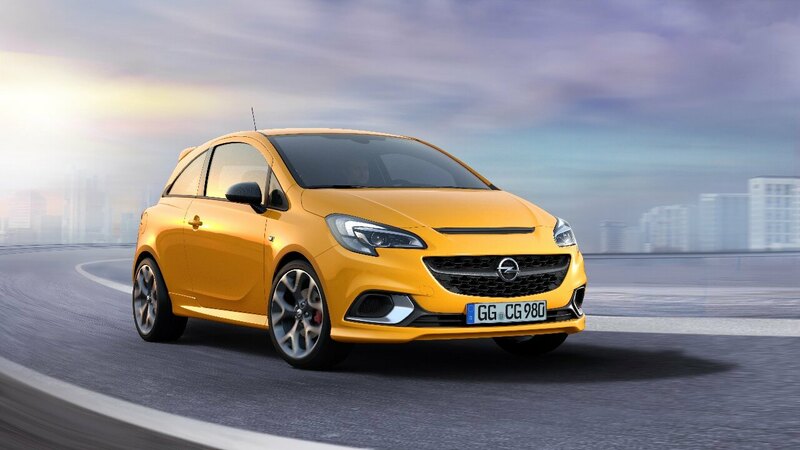 Mechanically, the new Corsa GSI is said to be ‘a precise sports machine that becomes a cornering virtuoso thanks to its sports chassis sourced from the current Corsa OPC, also fine-tuned on the Nordschleife of the Nürburgring to deliver optimum cornering performance. underneath the hood is a 110kW/220Nm 1.4litre 4-cylinder turbocharged engine mated to a short ratio 6-speed manual transmission. Such power figures leave hesitations as to what segment this track-focused hatch falls under, with pricing suggesting that its close rivals include the Ford Fiesta ST and VW’s Polo GTI. 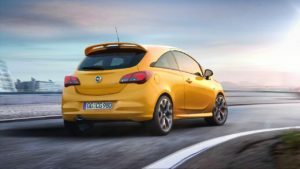 “We are continuing our long GSi tradition with the new Corsa GSi. There was already an especially sporty variant of the very first Corsa, which is a sought after classic-to-be. 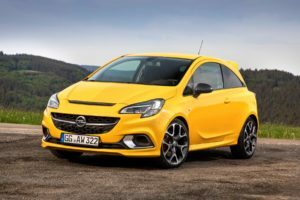 Our latest athlete will set new standards in the segment with its OPC sports chassis,” said Peter Küspert, Opel Managing Director Sales and Marketing.